Accept our offer of admission by submitting your $200 enrollment deposit to hold your place in the class. You will receive your student log in and password to your MyCedarCrest account by email. Start checking your account to make sure you are in the know about everything concerning your admissions. 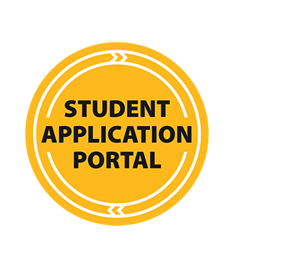 You can access your account at https://my.cedarcrest.edu and clicking on the Accepted Students link on the left hand side. Make sure you come for a visit. You can schedule a personal campus visit or come for one of our open houses. But, definitely make sure you attend the Accepted Students Day in the Spring. File your FAFSA (Free Application for Federal Student Aid). Start by requesting a FSA ID number for both you and your parents at www.StudentAid.gov. This will be your electronic signature for the FAFSA and other financial aid documents. Then complete your FAFSA at www.fafsa.gov. Enter the Cedar Crest College code 003243 on the FAFSA to make sure we receive it. Stay in touch. Besides visiting, call or email your Admissions Counselor with any questions or concerns you may have, or just to check in. They are your guide to make the transition to Cedar Crest a smooth one.